THANK YOU TO ALL THOSE THAT ATTENDED AND HELPED A NURSING STUDENT! 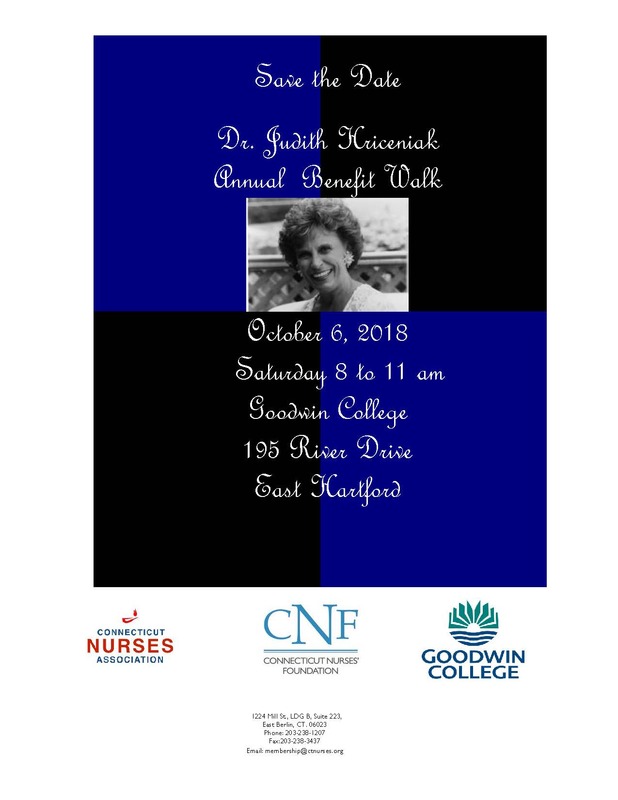 The walk raises money for the Judith Hriceniak Scholarship Fund established by the Connecticut Nurses’ Foundation. In addition to providing nursing scholarships, the fund provides lectures, workshops and programs related to health and wellness and for professional growth.